Have you been arrested for a PC 29800 violation? Are addicted to the use of any narcotic drug. You were convicted under federal law and were sentenced to more than 30 days in a federal prison, or fined more than $1,000, or both. It is important to note that the law does not require you to be in actual possession of a firearm (i.e., holding the firearm) to be convicted of violating California Penal Code 29800. The law only requires that you have access to the firearm or that you have the right to control it. Both a jail sentence and fine. Lack of knowledge. If you did not know that the firearm was in your possession, then you should not be convicted of violating California Penal Code 29800. For example, a gun was found in your home during a search. However, the gun belonged to your roommate and you did not know that the firearm was in your home. Momentary Possession. If you can prove that you only had a firearm in your possession for a momentary period while you were in the process of disposing or destroying it, and not attempting to prevent law enforcement from seizing the weapon, then you should not be convicted under PC 29800. Justifiable Possession. If you found a firearm or took it from someone from someone who was committing a crime against you, and you notified law enforcement that you were bringing the gun in, and you possessed the firearm no longer than was necessary to notify the police and bring them the gun, then you should not be convicted under PC 29800. My wife has a gun that she enjoys shooting. I have a felony conviction that prevents me from owning a firearm. Does my wife have to dispose of her gun? Maybe. Under PC 29800, it is illegal for you to have knowledge of, access to, and the right to control the firearm if you have a felony conviction. Depending on the licensing of the firearm, as well as your ability to access it, your wife may be able to keep her gun. However, you should speak to your criminal defense attorney about the specifics of your situation before deciding whether to dispose of or keep the firearm. My roommate brought a gun into the house and I didn’t know. The police searched the house and found the hidden firearm. I have a prior felony that prevents me from having a gun. Can I be convicted under the felon with a firearm law? The law says you must knowingly possess a firearm to be found guilty. If you did not know the gun was in the house, a skilled criminal defense attorney should be able to raise this defense in order to prevent you from conviction. Speak to an attorney as soon as possible. I was recently convicted of a crime that prohibits me from owning a firearm. I have many hunting guns in my name. I was taking the guns to a buyer and got pulled over for speeding. I was charged with illegal possession of a firearm under PC 29800. Am I going to go to jail? Speak to your criminal defense attorney right away. There are stipulations in the law that will allow you to have possession of a firearm for a short period if you are disposing of them. Your criminal attorney may be able to defend you against these charges. Contact the attorneys at Wallin & Klarich today if you have been charged with a PC 29800 violation. If you or a loved one has been charged with unlawful possession of a firearm it is important that you contact a Wallin & Klarich criminal defense attorney immediately. 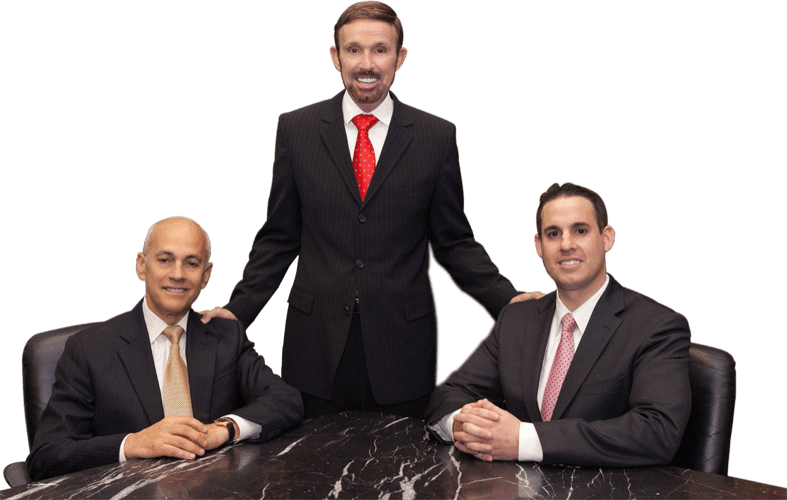 Our skilled attorneys have over 30 years of experience successfully defending our clients charged with weapons crimes, including those under California Penal Code 29800. We will analyze the facts of your case and plan a defense strategy that will help you get the very best outcome possible in your case.